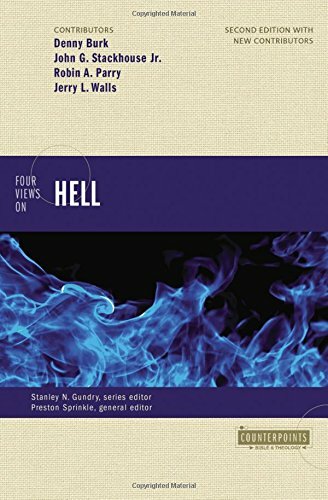 In Parts One, Two, and Three of this review of the latest book in Zondervan’s terrific Counterpoint Series, Four Views on Hell, we examined the cases for the doctrines of eternal conscious torment (ECT), terminal punishment (aka annihilationism), and universal reconciliation (UR), respectively. The book’s fourth section, Jerry L. Walls’ essay on Hell and Purgatory, is not so easy to classify. 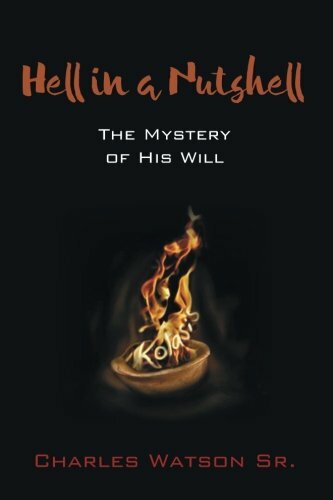 Its author is Professor of Philosophy at Houston Baptist University, who, editor Sprinkle notes, “has written three volumes on the afterlife in Christian theology, including Purgatory: The Logic of Total Transformation. The key here is the concept of sanctification as a process, rather than as an instantaneous transformation. Walls emphasizes that Lewis saw sanctification (or damnation) as resulting from a lifelong series of choices, and offers this quote, in which Lewis imagines Christ telling us “Whatever suffering it may cost you in our earthly life, whatever inconceivable purification it may cost you after death, whatever it costs Me, I will never rest, nor let you rest, until you are literally perfect…” [italics added]. To complete the circle, since it is “unlikely that all persons have the best opportunity to receive salvation in this life…if God is going to supply such grace, it will have to happen in the life to come for many people.” Thus contemplating the character of God suggests that the doctrine of purgatory ought to include postmortem repentance. If you’re a big fan of C.S. Lewis and George MacDonald, as I am, you are going to like Jerry Walls. Particularly considering his embracingof postmortem repentance, it seems to me that the disagreement between him and Parry is identical to that between Lewis and MacDonald; namely, whether it is even possible for a human being to forever reject God; for the gates of hell to be locked irrevocably from the inside. Unlike Parry, whose writing reflects more of the tension between man’s free will and God’s sovereignty, Walls emphasizes man’s free will, although it’s a subtle distinction; and the reason, I think, is precisely that Walls is saying that some men will in fact choose what amounts to an eternity of conscious torment. And, as we’ve discussed in past weeks, the problem this leaves us with is a defeat for God, who desires that none be lost, that all be saved. On the one hand, the Walls/Lewis vision of incremental decisions that lead to hardened hearts and the choice of hell over heaven resonates with me; at least on this side of the Great Divide, we all know people who have made that choice. Walls arguments against the Talbott/Parry idea that if we only know the truth, we’ll choose correctly are powerful and seem more ‘real world,’ more true to human nature; but Parry’s metanarrative of judgment followed by redemption, of a happy ending to the grand story of Scripture, is equally powerful, perhaps more so. I love Walls’ discussion of the way sanctification and salvation are inextricably linked; that the two are a process is apparent to me from the words of Jesus in the gospels and from the consistent themes Paul sounds in his epistles. He writes eloquently of the necessity of pain as part of that process, as do both Lewis and MacDonald. No one is getting into heaven before becoming perfect; and can anyone doubt, relying on both reason and Scripture, that suffering will be involved? 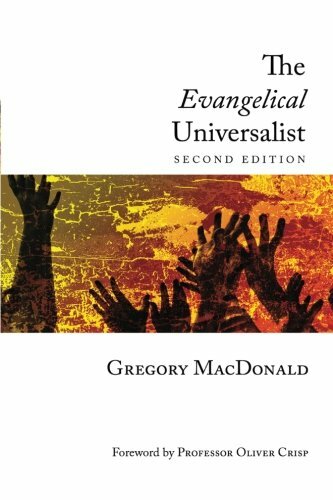 MacDonald in particular was emphatic that Jesus came to save us from sin, not from suffering, and asked who would want to skulk into heaven, hiding behind the “imputed” righteousness of Christ? No one will be spared the Consuming Fire that will burn away the last traces of sin; God loves us too much to do anything less. 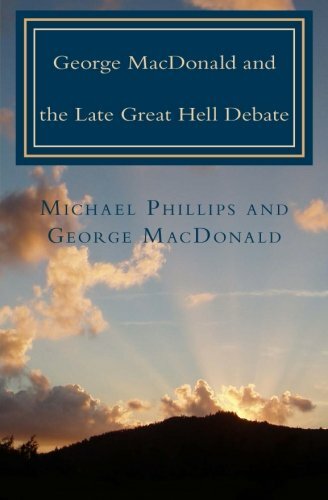 In fact, on precisely this point, I was reminded of several passages in Michael Phillips’ book, Hell and Beyond, which is an improvisation on both Lewis’ and MacDonald’s conception of what lies in store for us after death. Burk starts out by focusing on what Walls himself admits is the weakest part of his case, the lack of direct Scriptural reference to purgatory. He also claims that “[t]he doctrine of progressive sanctification after death is deeply unbiblical too…the texts indicate an instantaneous transformation at the time of resurrection.” It seems to me true that the biblical evidence for sanctification as a process speak directly only of this side of death; and it is true that there are a couple of verses such as the ones Burk cites that speak of being transformed “in the twinkling of an eye,” but those are certainly subject to interpretation. Scripture is ambiguous on the topic, so we turn to reason and tradition; and there, Walls has more going for him than Burk. Burk also objects to Walls’ emphasis on the “sinner’s free cooperation” in the process of sanctification, citing Philippians 3:21 as evidence that God will in fact act unilaterally to transform us. And it’s no shock that he objects to the notion of postmortem repentance, citing Hebrews 9:27. Now, I get that it’s necessary to use a sort of shorthand in these responses due to word count limitations, but neither of the two references are decisive on the subjects in question. This is where Parry’s conceptual framework is such a powerful concept. And the big picture that Burk presents is of a God that many of us do not recognize as the God revealed in Christ Jesus. Parry, who took on tough, seemingly anti-UR passages in his essay, notes that Walls failed to do the same (i.e., address the texts Burk cites in his response), and does the work for him. The rest of Parry’s response, which is well worth reading, presents his own musings on the concept of purgatory (which is perfectly compatible with UR). For this reader, footnote 54 on page 188 (how the early church dealt with the concept of God’s “wrath”) is just about worth the price of the book by itself. The theological wrestling match has been called and the crowd gone home; all four contestants have passed out, and the ring is spattered with blood and gore. The ref is sitting in the stands, head in hands, momentarily dejected by the seemingly endless loops of Scriptural ambiguity; that is, until he looks up, to see none other than the risen Savior, bending over the unconscious combatants, and tenderly dressing their wounds.